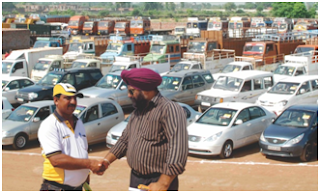 Shriram Automall Providing Used Commercial Vehicles Commercially! Commercial Vehicle manufacturers and government, while making efficient changes in upcoming models, look forward to improve the on-road experience of drivers along with their safety. Through these effective measures, India has now become the 5th largest commercial vehicle manufacturer in the world. Thereby Indian commercial vehicle (CV) market which has already surged over the past decade is now able to foresee the growth at CAGR (Compound Annual Growth Rate) in near future. 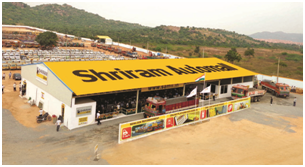 Shriram Automall India Limited(SAMIL), Largest Platform for Acquisition & Disposal of Used Vehicles and Equipment in India, while playing its part in National Development, help used commercial vehicle segment to grow. As company make sure to provide commercial vehicles of all make and models available for customers all over the country at optimal prices. Company’s used CV lineup includes everything from day cabs and box trucks to dump, refuse, tanker and sleeper trucks. Not just that acquiring a used commercial vehicle from SAMIL is also cost saving, which means you can afford a top brand you wouldn’t be able to if it were new while acquiring the used one. Another perk is the lower rate of depreciation. Like cars, once you drive a new truck off the lot, you instantly lose about 20% of its value. 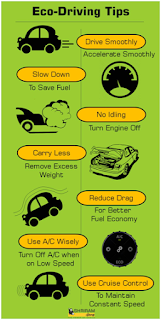 But by acquiring the used one, depending upon the age of the vehicle, you may still be able to get the benefits of newer technology and better fuel economy. Even with so many pros to offer SAMIL understands it isn’t always easy to find the right used CV in excellent condition. Thereby Company offers the huge line up in all of its 70+ Automall facilities across the country. There with a good visual and mechanical inspection, you can quickly learn whether a used commercial vehicle justify your value for money or not. Visit your nearby Automall today or download our very own mobile app “MySAMIL App” to learn more about us and our inventory. You can also through Live Bidding Platform acquire the choice able used CV from the app. Learn Why Shriram Automall’s Live Bidding Events are one of the kind! Technology now days is getting advanced at a robust speed. In the technologically driven world Shriram Automall India Limited has brought the Live Online Bidding Events for its customers, using which they can participate in the event on real time basis with Physically Live Bidders from anywhere and everywhere. Looking forward to bridge the gap and making a deal directly with a person while buying or selling the pre-owned vehicles and equipment. You can stop looking as you finally are looking in the right direction. ShriramAutomall India Limited (SAMIL) is the company with 4 Limca Book Records for being the Largest Platform for pre-owned vehicles & equipment exchange in India. Company provides a specialized SAMIL platform which aims at facilitating negotiated deals by bridging the gap between the buyer and seller. This platform caters high-value or bulk asset transactions & is mostly preferred by international customers. As it caters to big ticket value thorough both online/offline modes. 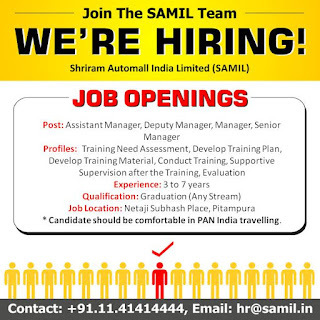 Customers all over the country visit their nearby Automall on daily basis, to choose from the vast collection of vehicles and equipment SAMIL has to offer. Company’s Automalls very successfully keeps updating their inventory with all the latest vehicles and equipment. Their wide range of quality vehicles that too at affordable prices is what makes it last stop for both disposing and buying pre-owned vehicles. Company also offers plethora of allied services, one of which is valuation, using which you can learn about the true worth of your beloved used vehicle. With such kind of facilities SAMIL always find an edge to be the no.1 platform in the market as their team works in a result oriented culture and their supply and quality of pre-owned vehicles & equipment match the need of customers. With so many services to choose according to customer’s convenience striking a deal through Private Treaty is the one facility in which you can directly make a deal with the buyer from anywhere in India at negotiable prices. Once a suitable quote is approved you can also opt. for the finance service right from the company. As company is the 100% subsidiary of India’s leading NBFC – Shriram Transport Finance Company (STFC). So, if you are looking forward to buy or sell pre-owned vehicles and equipment Shriram Automall’s team is right there to provide you best of their services while making your experience both easy and memorable. All you have to do is take a step forward and click the given link to register yourself or to download MySAMIL App. On 13th September’2017, SAMIL’s Mangalore Automall completed its 1st year of success emerging from hard work and dedication towards its customers. Company is going to celebrate the Anniversary on 20th September’2017. The Automall when inaugurated was the 7th facility in the Karnataka State and in line with the aggressive expansion plan of the company. It was the 61st Automall of the company in the country. Now company has expanded its reach to 70+ Automalls serving customers everywhere from the nook & corner. Spreading across a sprawling 5.5 acres of land, the Automall is located at one of the most prime locations on the National Highway 66. The Automall works as a complete solution provider to the pre-owned vehicles and equipment related needs of transporters, contractors, dealerships, manufacturers and individual buyers in the area & nearby areas. People from across the locations of Udupi , Kundapura, Puttur, Hassan, Shimoga and Mangalore etc. regions have been reaping benefits of Shriram Automall’s Holistic services and unique platforms for easily acquiring and disposing used vehicles & Equipment since 2016. Company through its Mega Anniversary Event, aims to reach out to more and more customers, while fulfilling their desired vehicle requirements at optimal prices. SAMIL has always walked an extra mile to add a smile on its customer faces. Thereby Automall also assists the traders with financing and insurance options, as well as provide services for repair & refurbishing the vehicles. As an add-on facility, rest rooms for travel-fatigued truck drivers and cleaners are also offered. If you are an interested buyer or a seller of a used automotive or equipment, visit the Mangalore Automall, on 20th September’2017, and participate in the special bidding event to take home desired used vehicle of your choice. You can also participate in the Live Bidding event from the comfort of your home through “Desktop BiddingFacility” & “My SAMIL App” or simply click the link below for easy registration with just a click. 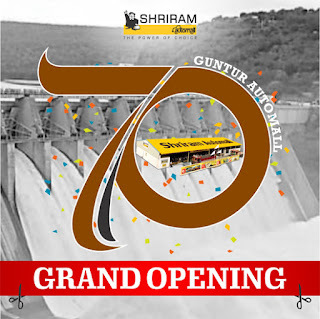 New 70th Esteem Shriram Automall’s Facility coming in Guntur! Shriram Automall India Limited(SAMIL) is India’s Most Trusted Platform for Exchange of Used Vehicles & Equipment in a Transparent & Organized Manner. Company through its remarkably innovative services has created a renowned name for itself in the country and now while expanding its reach company has decided to inaugurate a well structured Automall facility in Guntur. Facility would be the 70th Automall of the company in the country which will be sprawling in 5.3 Acres of land. Guntur is a city within the Andhra Pradesh Capital Region. Company understands that the city is the third most populous settlement in the state with a population of 743,654. Thereby has come up with a facility that will cater to all types of used vehicles and equipment demands in the area. The city is known for chilli export and has the largest chili market yard in Asia. Shriram Automall will focus on providing the best in class used commercial vehicles to help the export business to grow even further with the robust speed. As the local transport preferred by the city commuters include, privately operated auto rickshaws, cabs, mini-buses, company will aim to meet the demand and with commercial vehicles being the center of focus, to satisfy the need of used passenger vehicles, two & three wheelers, construction and agricultural equipment of every make and model in the city. Automall will provide complete access to customers in Guntur and nearby regions to take benefit of the most remarkable bidding platforms in the country. If you are an interested buyer or a seller of a used automotive or equipment, SHRIRAM AUTOMALL (Guntur) is going to be a trusted name for optimal and convenient transactions just like its other 69 Automalls and 150+ bidding locations. Visit the Guntur Automall, on 22nd September’2017 (Inauguration Day), and participate in the special biddingevent to take home desired used vehicle of your choice. SAMIL Along With STFC Creating the Onestop Destination for Pre-Owned Vehicles & Equipment! 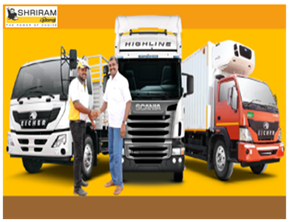 Shriram Automall India Limited(SAMIL), the name of trust and reliability, is the 100% subsidiary of Shriram Transport Finance Company (STFC). 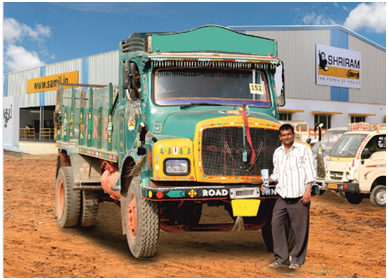 STFC is one of the largest asset financing NBFCs in India with a niche presence in financing pre-owned trucks and Small Truck Owners (STOs). 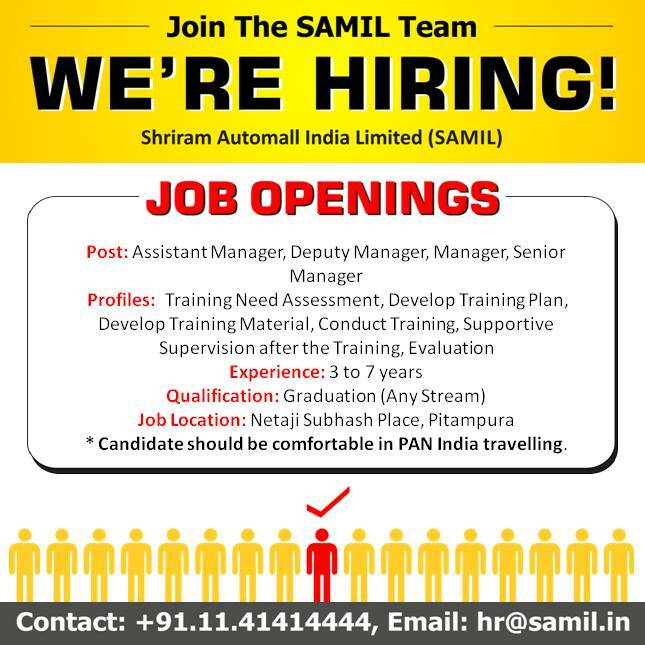 Ratio of used automotives to that of the new ones being 1:1 has encouraged SAMIL to create a name for itself in the market. With the vision to be the largest exchange platform for trading pre-owned vehicles having tangible physical presence spanning all major cities of India, company is committed to total customer satisfaction. Now, with STFC very successfully SAMIL has created a market place well known as Onestop Destination for used vehicle and equipment transactions along with services like Finance. So, now you cannot only acquire the best pre-owned vehicle of your choice from best in class inventory of Shriram Automall, but can also acquire the easy Finance facility from STFC for convenient buy. Company being the No.1 Platform for used automotive transaction understands that choosing the right loan provider is just as important as finding the right pre-owned vehicle. Therefore, company along with STFC aims to make it as easy as possible to purchase an affordable used vehicle or equipment at the best EMI tenure. Company offer great used vehicle or equipment loan interest rates. 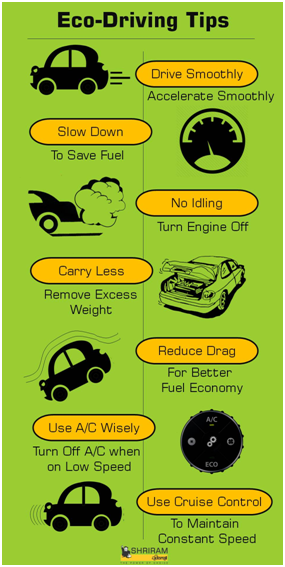 Therefore now Shriram Automall is the answer to all your doubts and queries. As at the Automall you can both acquire for your desired used vehicle or equipment and finance facility all along. So, what are you waiting for visit your nearby Automall soon. You can also click the link below to register yourself or to download company’s mobile app. Shriram Automall to Inaugurate 69th Automall Facility in Ratnagiri on 12th September’2017! Area receives heavy rainfall throughout the year resulting in abundant growth of rice, coconuts, cashew nuts, and fruits (majorly mangoes) in the alluvial valleys. And due to city’s existence on the Arabian Sea coast, fishing industries are quite important there. 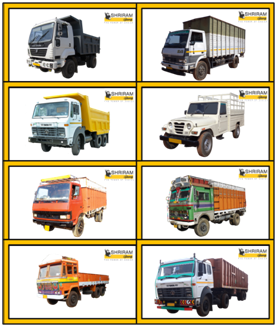 Shriram Automall India Limited (SAMIL), India’s most trusted service provider for exchange of used vehicles & equipment, understand the demand of commercial vehicles in the area for import/export purposes. Thereby company with an aim to provide most organized pre-owned vehicle & equipment services in the area is now going to inaugurate its 69th Automall there. 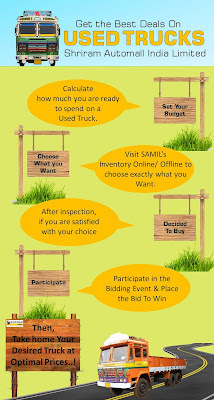 Over the years SAMIL’s bidding events have become industry’s most talked about innovation. 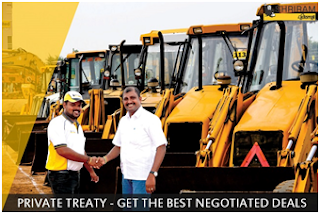 There is nothing more exciting than attending company’s bidding events to buy or sell desired choice of used vehicle or equipment, as company gains a leading edge over its competitors for implementing, the most extensive line up of Used Vehicles & Equipments of all make & models with dedicated team for each segment. 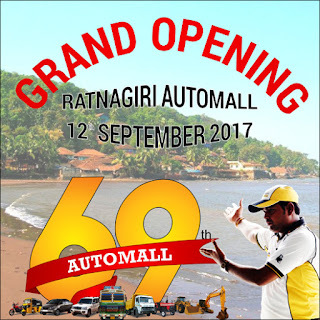 If you are an interested buyer or a seller of a used automotive or equipment, SHRIRAM AUTOMALL (RATNAGIRI) is going to be a trusted name for optimal and convenient transactions just like its other 68 Automalls and 150+ bidding locations. Visit the RATNAGIRI Automall, on 12th September’2017 (Inauguration Day), and participate in the special bidding event to take home desired used asset of your choice.